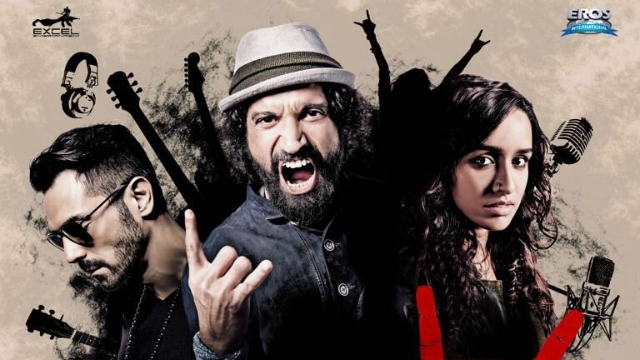 Hello Guys, we sharing all latest video from upcoming movie Rock On 2. I have collected all HD video from this movie. This is the musical drama film directed by Shujaat Saudagar, produced by Farhan Akhtar, Ritesh Sidhwani.Arjun Rampal, Prachi Desai, Purab Kohli & Shraddha Kapoor in lead roles. This is the sequel of Rock On film which was the hit film of 2008. The whole Music composed by popular music composer Shankar-Ehsaan-Loy. The film is going to release on date 11 Nov 2016. About all songs has released and some video songs has already released on you tube channel of Eros International. All songs are lovely. One song Tera Mera Dil is sung by actress Shraddha Kapoor. So you easily see the all video song of this movie on this same pages. I hope, you will like my post. The song is sung by Farhan Akhtar & Siddharth Mahadevan and composed by Shankar-Ehsaan-Loy while lyrics are penned by Javed Akhtar. Tere Mere Dil is very cute and lovely song and sung by Shraddha Kapoor. Presenting Tere Mere Dil sung by Shraddha Kapoor from an upcoming Bollywood movie Rock On 2. The song is composed by Shankar Ehsaan Loy and lyrics by Javed Akhtar. The song is sung by Farhan Akhtar and composed by Shankar-Ehsaan-Loy while lyrics are penned by Javed Akhtar.